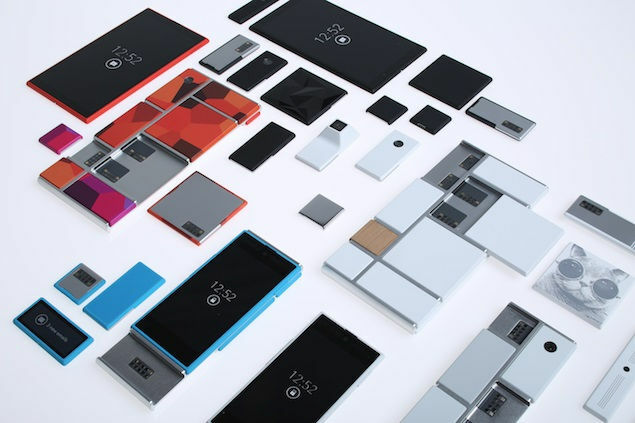 Google Project Ara, an open hardware platform for creating highly modular smartphones will come in January next year. Google has been working on Project Ara for more than a year, and if a new report from Nikkei business wire is to be believed the search giant has now teamed up with Toshiba to provide chipsets. The Nikkei report claims that Toshiba signed on with Google for processors and semiconductors back in October last year. The reports claim that the Japanese electronics company will supply three types of processors for the phone. Sample shipments of these processors will start this fall which will be followed by mass production as early as the start of next year. The platform is meant to support three sizes of phones, namely – mini (a basic unit), medium (a mainstream unit) and jumbo (a phablet-style model). Also, Toshiba is slated to become the only chipmaker for Project Ara “about a year after its rollout” which is a time frame that isn’t narrowed down further at this point. Giving further understanding of the phone, the report states that least expensive handset in Google’s new line will be priced at around $50 (Rs. 3,000 approximately). Project Ara is the new modular phone design developed by a small team at Google called Advanced Technology and Projects (ATAP). According to reports, the Ara constitutes a metal endoskeleton, which essentially is the spine of the phone, and space for replaceable components called modules. These components look a lot like tiles. Each of these tile modules can include different things that keep the phone working, like camera, batteries, speakers etc. These modules will be in turn connected to other working parts of the phone through capacitive interconnects Electropermanent magnets will hold the modules in place and also act as a toggle switch which will allow users to easily turn the particular element on or off depending on their requirement. Google at its first Ara Developers’ Conference showed off new modular smartphone designs. It also gave the world its first glimpse of the Project Ara modular prototype smartphone at the ‘Launch’ event in San Francisco. A team member of Project Ara demoed a non-functional Wi-Fi model of the first modular smartphone. Google launched Modular Development Kit last month which enables user hardware manufacturers or “Module Developers” to create different modules for the smartphone.